Eden has their latest releases up on their website. And the website's pretty new and worth showing off as well. The new website is full of downloads like rules and scenarios for you to check out. If you're not sure about the Eden game world, why not go check it out for yourself? 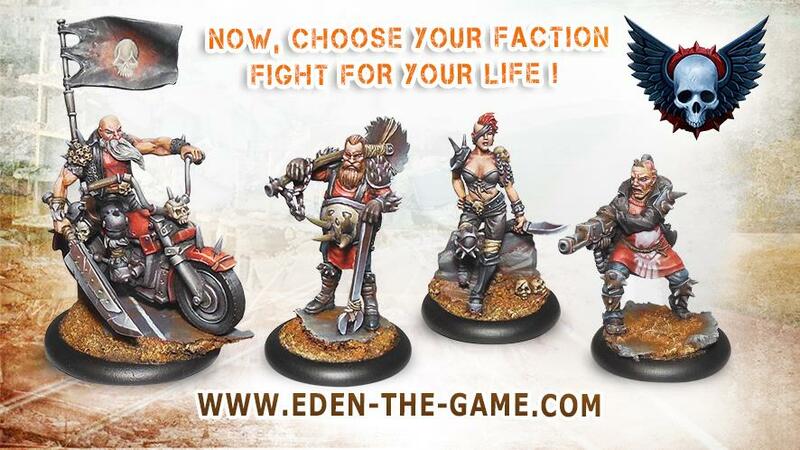 The new releases for Eden are here! Introducing the New faction: Dante's angels. A biker gang that you do not want to mess with built around the 7 deadly sins theme. They are also the first faction to posses vehicles! Also check out Eden's fantastic new website!